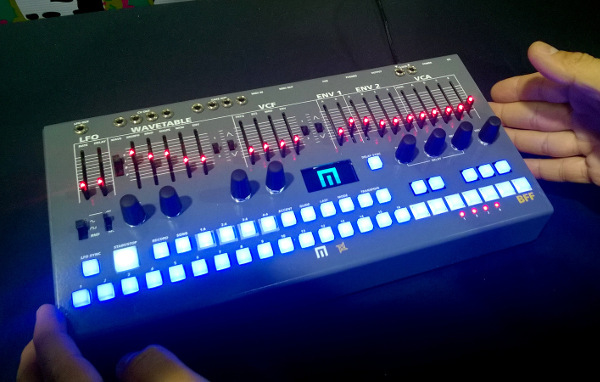 Malekko presented the final version of the Manther synthesizer at the NAMM show 2018. 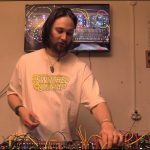 According to Josh, the synthesizer will be available in a couple of weeks. The Manther’s VCO is based on the CEM 3340. – An original, not a cheap knock-off. 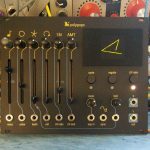 It generates several waves, which can be combined with noise and an external signal in the following mixer. The filter is based on the SSM 2044. – This chip was used in many vintage synthesizers. In other words: You can’t go any more classic. 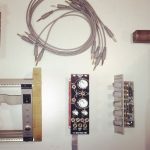 Other components include a VCA, an ADSR envelope, a LFO and a sophisticated sequencer. Thanks to several audio as well as control voltage inputs and outputs, it is possible to use the Manther with modular equipment. 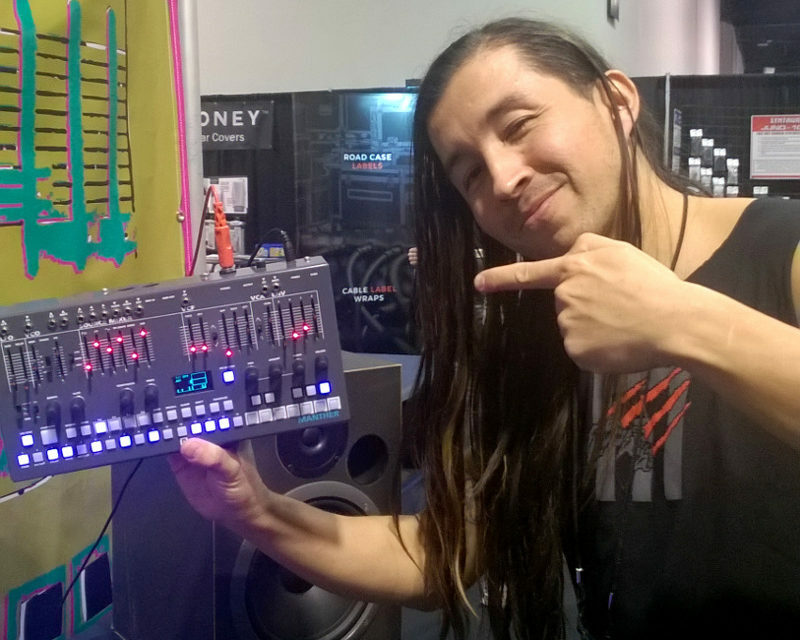 Additionally, Malekko showed a sequencer-less module version called the Manther Growl at NAMM. 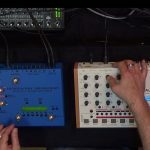 Furthermore, visitors were able to have a look at a new synthesizer prototype, which is similar to the Manther, but features a wavetable oscillator developed by the Harvestman (Piston Honda Mk3) instead of a VCO. 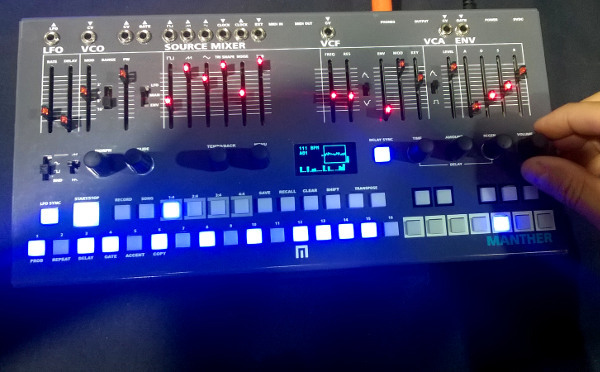 Furthermore, Malekko developed a quad drum module based on wavetable synthesis. 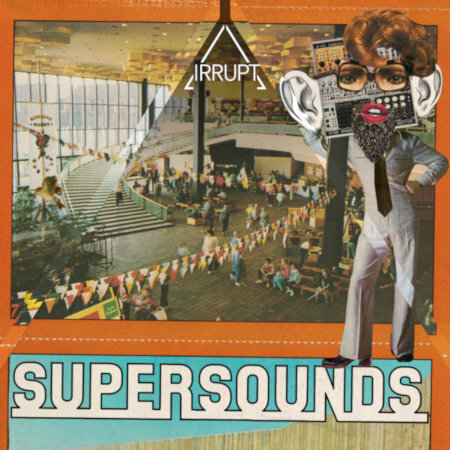 Its sound was inspired by Emptyset. The module’s four channels can all be configured to be kicks, snares, hi-hats or tons of other, party rather experimental, drum voices. Distortion and noise parameters give results the finishing touch. 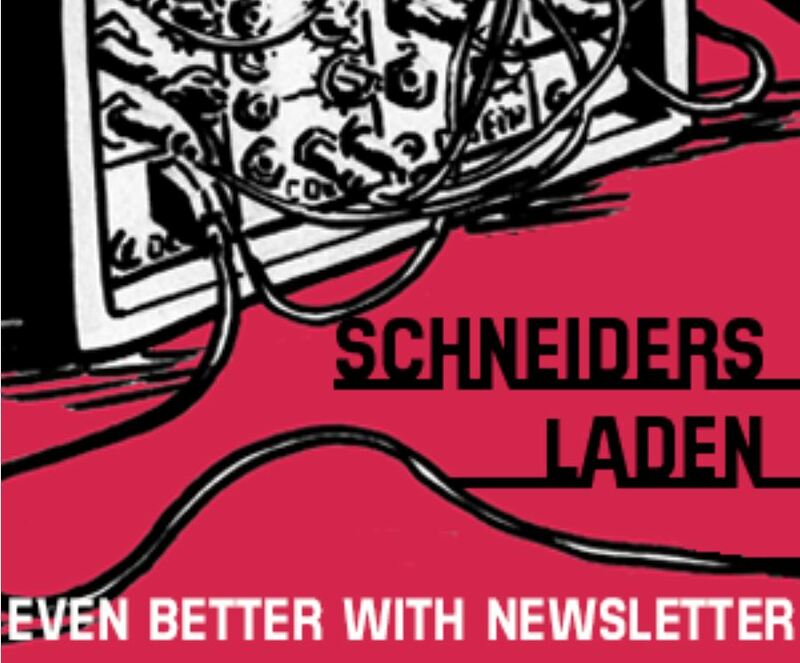 On top of that, quad LFO, quad envelope, quad VCA and a multi-channel random module were introduced. 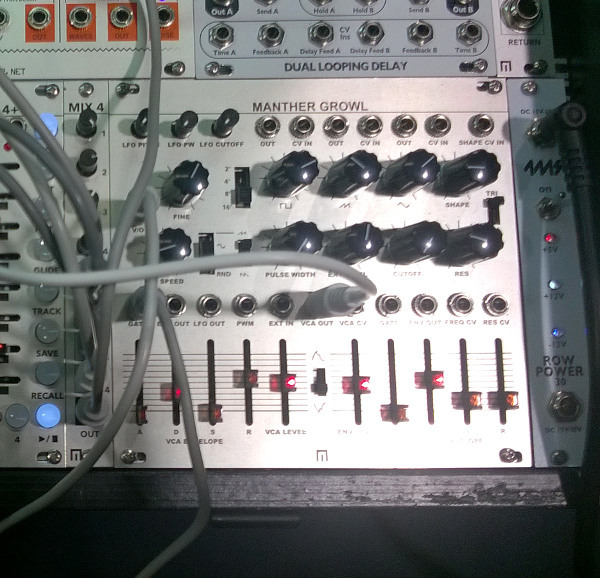 Many of these circuits can be combined with a Varigate 8+ to get sort of a preset system.